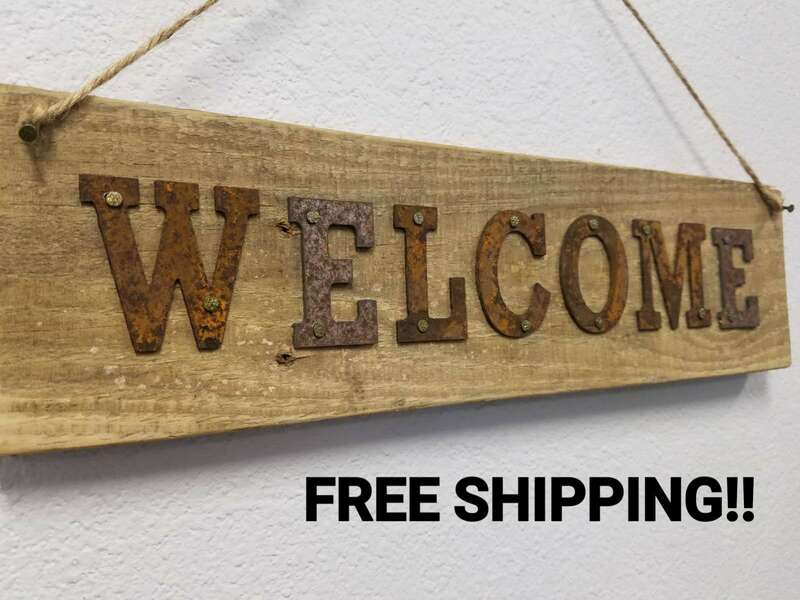 Rustic Welcome Sign, Rustic Welcome Sign Porch, Vintage Welcome Sign, Metal Welcome Sign, Pallet Sign, Pallet Welcome, FREE SHIPPING! 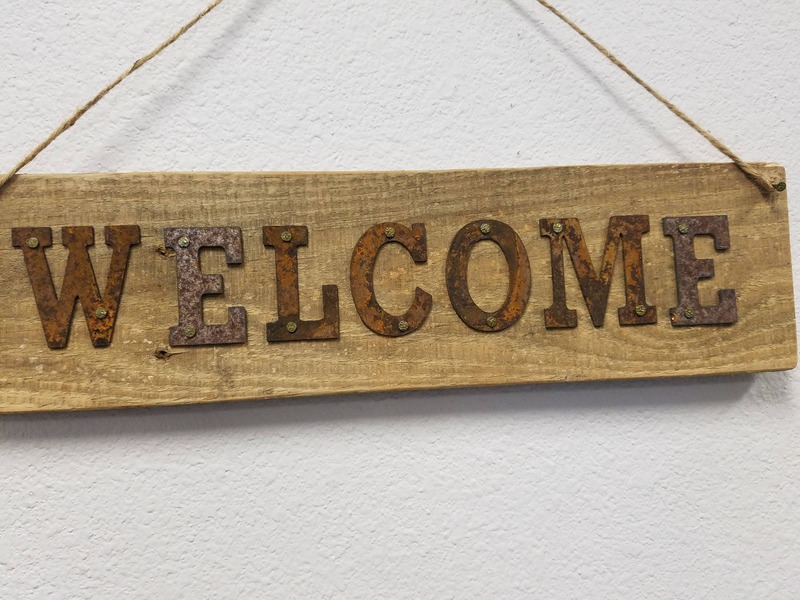 This Welcome Pallet Sign is a great rustic addition to any home. 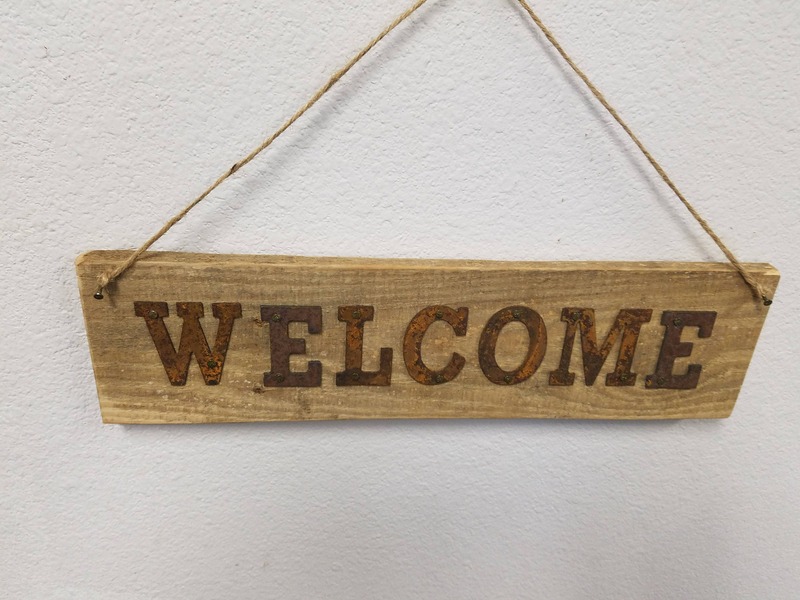 With metal lettering that is nailed to the board, this sign is sure to withstand time. Each metal letter is cut by us then each letter has holes drilled by hand. 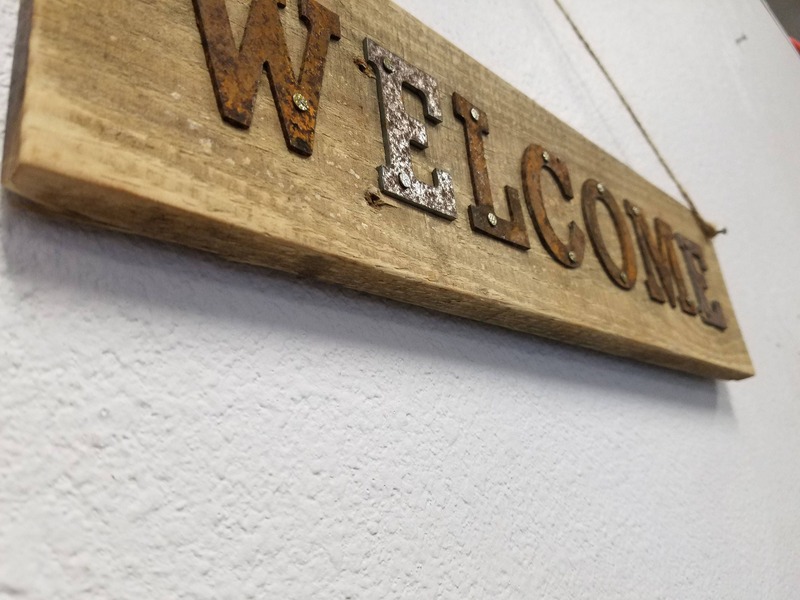 Once the holes have been drilled in each letter, we then hammer each letter to the board and hammer the backs of the nails making an extremely secure fit to each board. 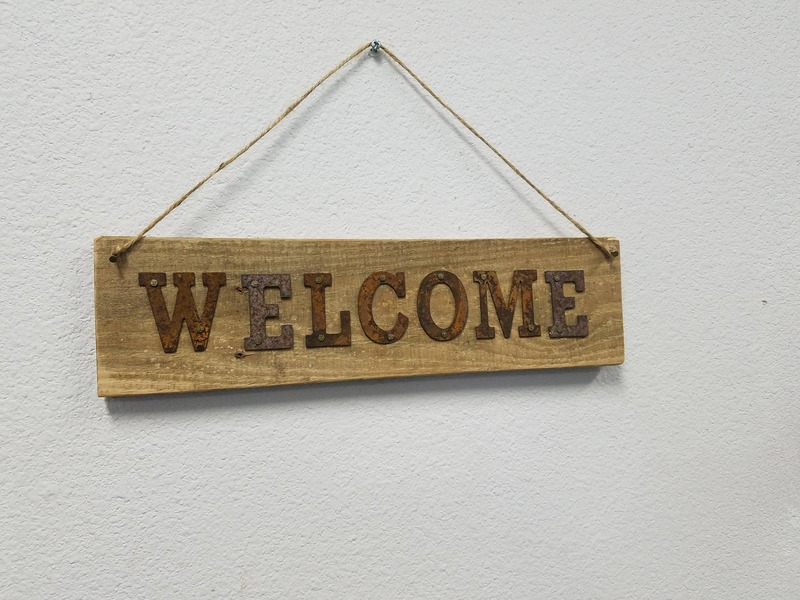 Each sign comes with two nails in the top, front corners and twine attached for hanging. Prefer to hang with something else? Just tie your method of choice to the nails and hang away! Prefer your sign to say something else? LAUNDRY, KITCHEN, RESTROOM, WATER CLOSET, the possibilities are endless. The cost of this sign is determined using 7 letters. 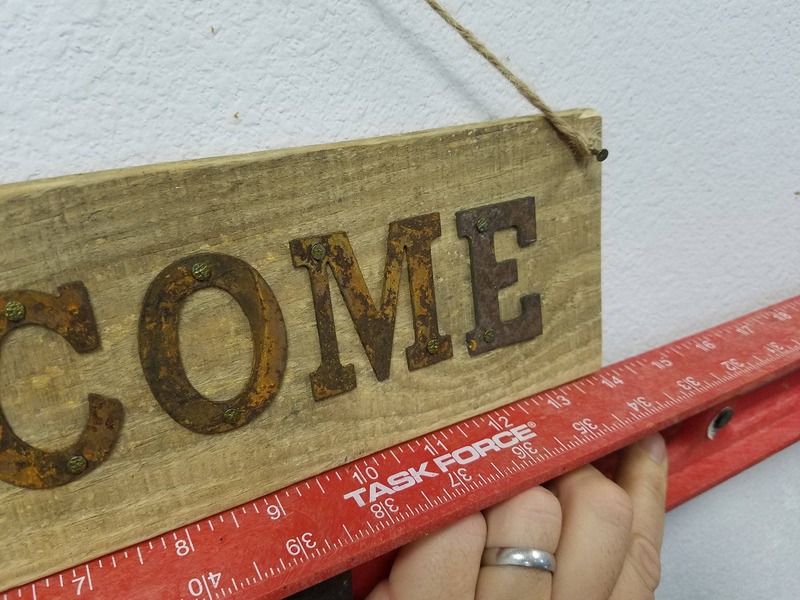 Additional letters can be added at $1.65 each. 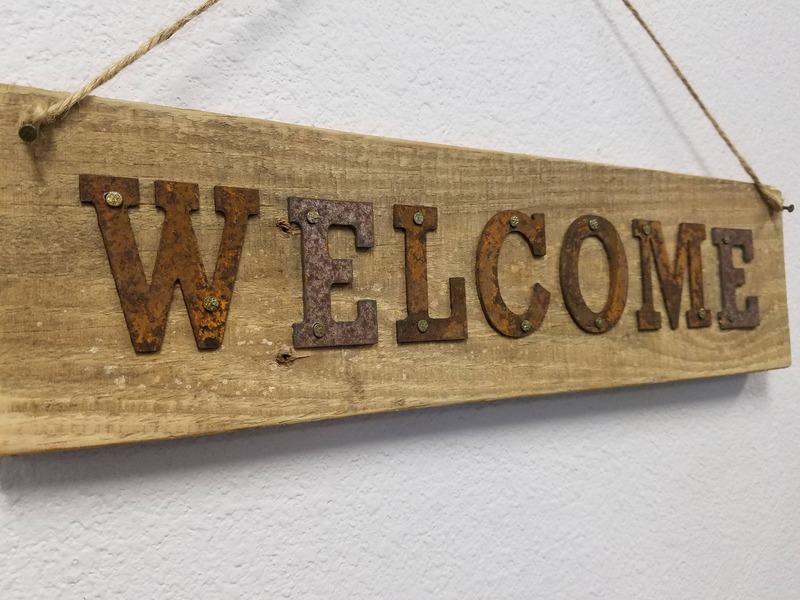 What makes these signs great is that they can be placed indoors or out without the fear of peeling vinyl or cracking paint. 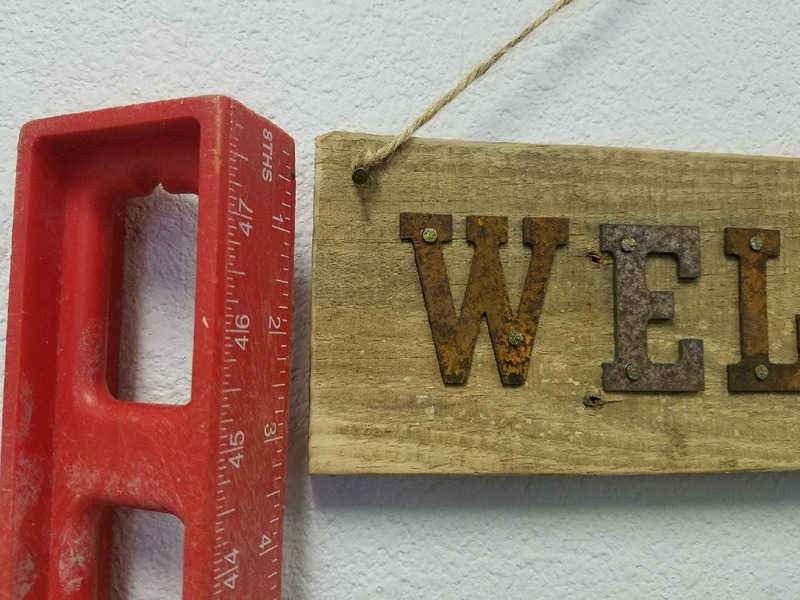 The metal will patina (rust) over time, but our letters are thick enough that you will have years before you have to consider replacing them. When/if you ever need a replacement letter, we can replace them at the $1.65 per letter cost. Customer Service is our #1 priority!